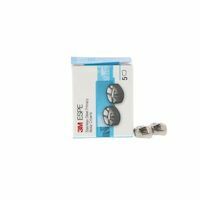 Unitek Stainless Steel Molar Crowns are prefabricated and meet both adult and pediatric needs. These preformed crowns are a viable method of single-unit temporization for both short and long-term coverage. The crowns are easy to customize and the shallow occlusal anatomy means less tooth reduction.